Camping season begins May 1 and continues to October 31. You will find all the amenities you are looking for, plus much more, at Giles Campground. Whether you are here to simply relax on the beach, swim or fish, the beautiful lake views will be sure to please. RV, trailer, and tent camping are available by the day, week, month, or season. The campground offers tent sites as well as 48 sites with full hook-up (30/50 AMP electricity, water, sewer) and 2 sites with electricity and water ranging from full sun to shade. 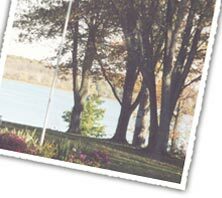 Giles Campground hosts numerous campground events each year including 4th of July fireworks display (best on the lake) with a pot luck dinner, annual fishing contest, and fall activities. Giles Campground is a pet friendly campground. 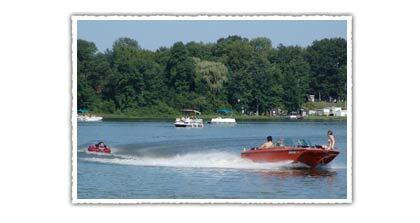 Giles Campground is located in southwest Michigan between Allegan and South Haven near the town of Chicora. There are numerous area attractions just a short drive from our location. Spend your days on the beaches of Lake Michigan, visiting one of the many local museums, or perfecting your swing at a nearby golf course. Firewood is not allowed to be brought into the campground to prevent pests and disease contamination. Call (269) 521-6171 for reservations.